The past couple of years have seen some lean times for the restaurant business. There are more specials and coupons than ever before. In fact, I usually feel a bit guilty when I don’t take advantage of some of the deals that are offered. Often I will inquire about the status of the business and the answer is usually that it is a bit off. There are a few places that seem immune to economic fluctuation. 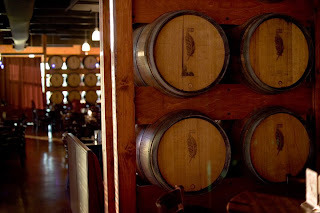 One such establishment is Cooper’s Hawk Winery & Restaurant. Passing by the Orland Park location on any given day, one will note the full parking lot at lunch time as well as the overflow lot at the dinner hour. This is a real success story. The founder is Tim McEnery, age 33. Mr. McEnery opened the first location (Orland Park) in 2005 and will soon be opening his fifth location in Indianapolis. The final revenue tally for 2010 is expected to surpass $30 million dollars. This is quite an accomplishment for such young a person. Tim labored long and hard in the restaurant and wine industry starting out at age eleven washing dishes. He came up with the concept of a winery and restaurant combination while working at a country club. As part of the preparation process, he worked for a major local winery for a number of years before finally hatching his concept. Today, after five years, his dream has blossomed into a 23,000 member success. Just prior to the opening of the Orland Park location, my wife and I decided to take a walk by. It was late morning and we were just hoping to take a peek inside the windows. As it turned out, we saw activity inside and walked in the front door. Though not officially open for business, we were greeted cordially and were shown around the facility. After the tour, we were offered a couple of free tastings…now that’s hospitality! We were given brochures and had the membership requirements explained to us. It wasn’t long after that we went back for an official wine tasting and joined the wine club. Although we have been wine drinkers for some time, we have never joined a wine club due to the restricted nature of past offerings. Cooper’s requirements were more flexible and only required one bottle per month as opposed to two. 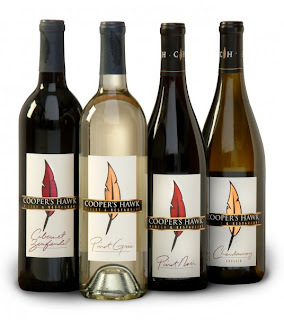 Cooper’s offers over forty different whites, reds, sparkling, fruit and dessert wines in addition to a wide variety of other drinks. 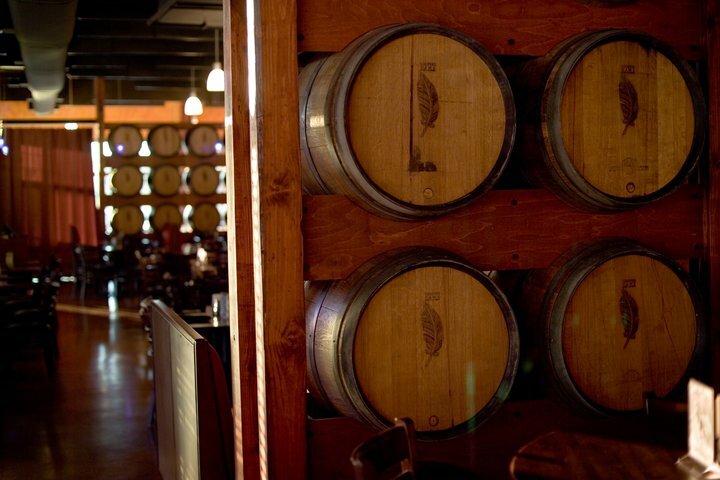 All the wines are produced in their own production facility with many stored kegs in the restaurants . My personal favorites are Cabernet, Pinot Noir and Cooper’s Red which is a blend of Cabernet, Merlot and Syrah. The menu runs from salads to sandwiches to a variety of entrees and desserts. A favorite dish of many is the Red Wine & Mustard Short Ribs served with mashed potatoes. My current personal favorite is the Trio of Medallions consisting of Horseradish, Bleu Cheese, and Parmesan-Crusted Filet Medallions, broiled and served with mashed potatoes and asparagus. Also very delicious is the Fresh Filet of Grouper which is sautéed, and topped with a pistachio crust served with mustard sauce, mashed potatoes and asparagus. I can also recommend the Tenderloin sandwich consisting of melt–in-your-mouth sliced beef tenderloin with provolone, Dijon, mayo and crispy onion strings on toasted Ciabatta. I am getting hungry as I write this. All food comes with a paired wine recommendation. It is absolutely necessary to make weekend reservations. You can get there early for a wine tasting. At seven dollars for eight generous pours (you can get second tastings too), it is a very good deal. Now let me caution that the pricing is somewhat high, though not outlandish. I believe the success of the enterprise is due not only to the concept, but also to the customer friendly environment. Current locations are in Orland Park, Burr Ridge and South Barrington with soon to open restaurants in Wheeling and Indianapolis.